I'm 5'7/ 5'8 and my lad is just a little over 15hh. 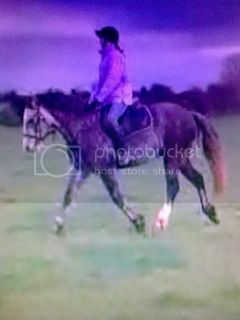 When I bought him I was looking for 15.3hh or up but in the summer I was riding 14hh and a 13.2hh ... all leg but happy out. My pony is 12.2, Welsh Sec B, i'm 5ft 2", 7.3st and all is well, I used to think i was too big for her but she's fine. You might get more replies if you start a new thread, this one you have bounced is 9 years old! Agree about posting a new thread, but really I wouldn't worry. Unless the ponies you're riding are incredibly lightly built you'll be fine. I'm 5'7" and weigh a bit over 10 stone without hat, boots, saddle etc. I ride a 14hh highland and she has no problem carrying me. There will be plenty more users on here who will say similar things.